Another week has gone by already. Where is the summer going? This past Saturday my family attended a Renaissance Fair. It was the first time my town’s ever hosted one and there was no way I was missing out. I’ve been to several fairs over the years. My very first one was while I was in college in Washington, DC. My sorority sisters and I attended the Maryland Renaissance Festival. It’s still one of my favorite college memories. First stop, King Henry VIII’s court pre-Ann Boleyn. 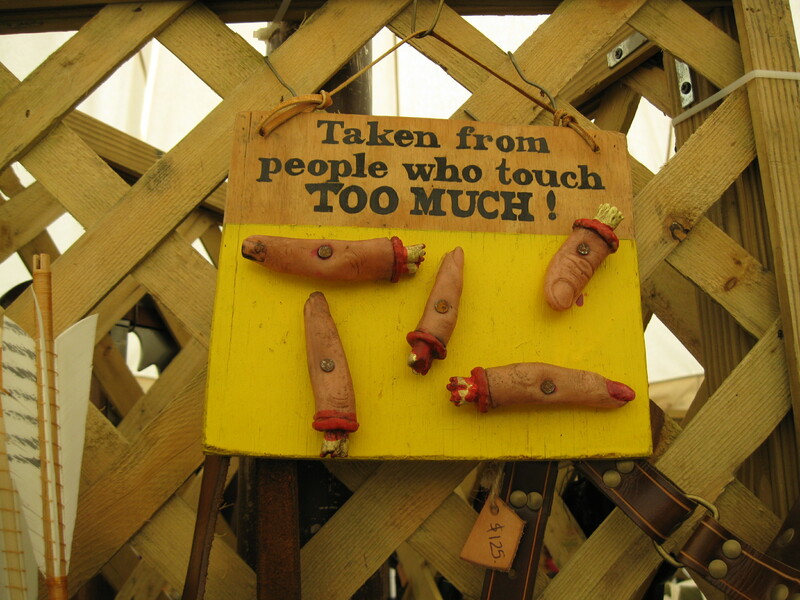 One of the best part of a Renaissance fair is the cheeky humor. 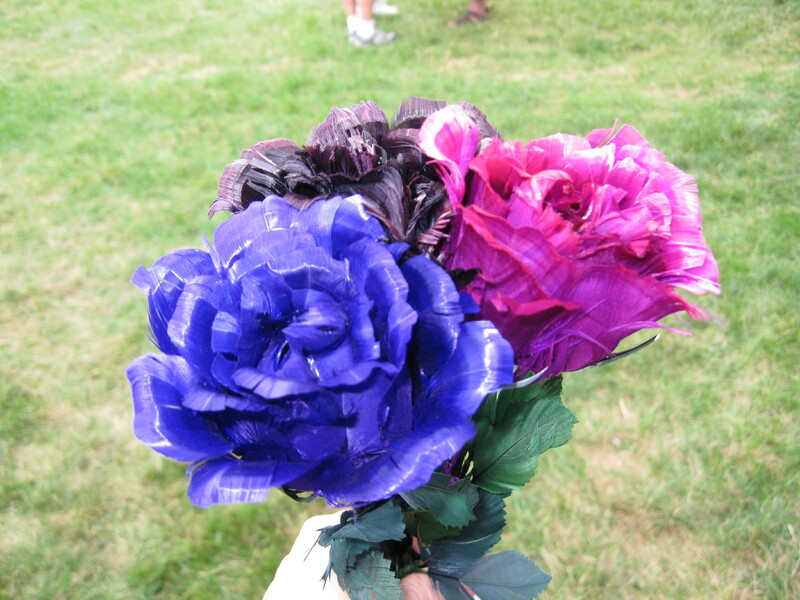 These are roses made from feathers. I had them scented with chocolate, vanilla, and strawberry. Mmmm. A tall and imposing Templar Knight. Impressive! 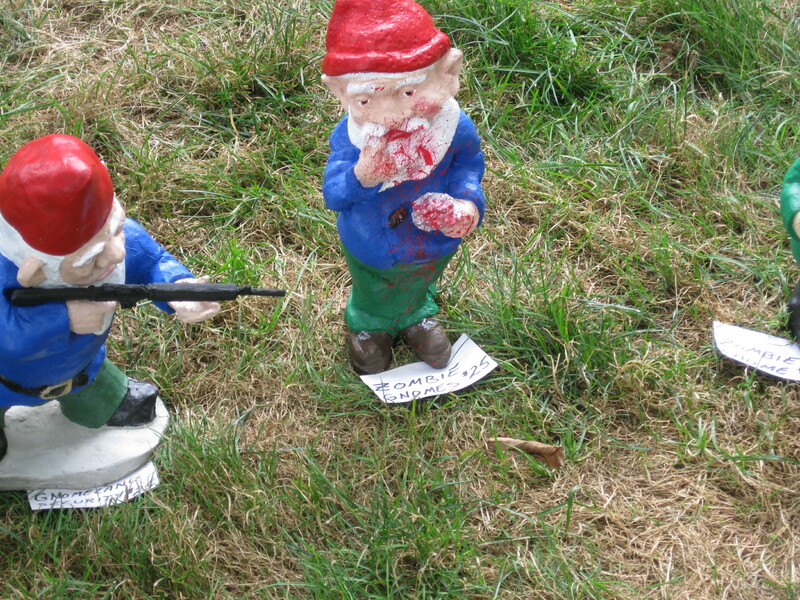 Where else can you find zombie gnomes being gunned down by “gnomeland security”? Overall, a good time was had by all. Anyone else ever been to a Renaissance fair? If not, what other fun places have you visited? And please visit me at the Scribes – Don’t Fear the Reaper! I go every year to the Renaissance fair in our city. They are so much fun. Another one I also go to every year is the Scottish Renaissance Festival. I don’t know if they have those near you, but if they do, you need to check it out. The different Scottish clans show up in traditional kilts and they have traditional games including the caber toss. Mary Stuart presides over the festivities which include a Ceilidh, bagpipping competitions, and Highland dance competitions, to name a few. Thanks for sharing your fun experience. I loved your pictures. That sounds awesome. The group that came to my town does several fairs throughout the state. The next one is in October and it centers around King Arthur. We have vowed to attend. I love Ren Faires! Giant turkey legs. Junk food and people dressed in funny costumes. You can’t go wrong. Yes, we saw all those things. And Sunday, we got stuck in the rain and got drenched too. A good time was had by all! LoveLoveLove Ren Faires (as if you might not already know that, given my novel’s subject)! We go every year to the Ohio Renaissance Festival, and my hubby and I attended the one in MA when we lived there in the early 90’s. SO MUCH FUN!! I actually did Tarot readings at the Ohio Faire one year, but it was too much time away from my babies, so I didn’t renew my contract. I would LOVE to go to an Arthurian Ren Fest! Where is that one, Casey? 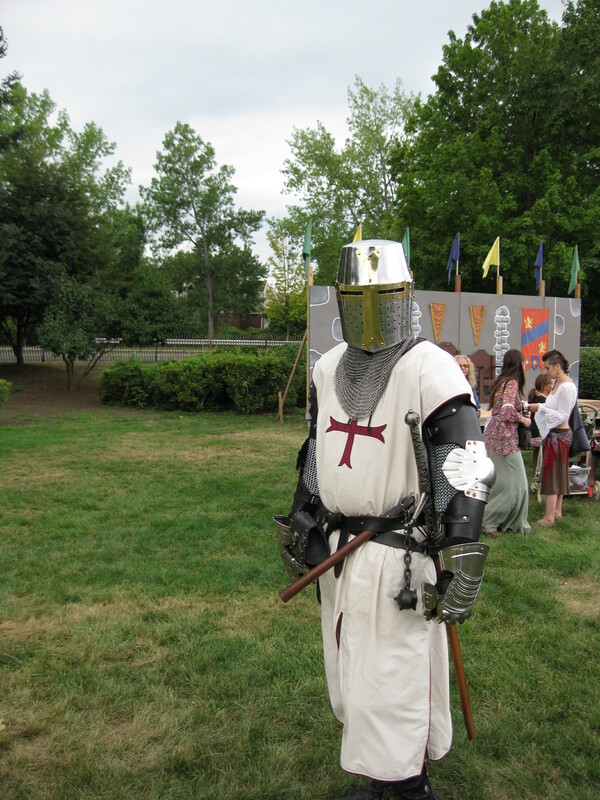 The Arthurian Ren Fest is run by the same folks who did the one I attended. Same actors, different story line. It’s in late September – October at the Hebron CT fair grounds http://www.ctfaire.com/. I tried for years to get to mine, but hubby wasn’t buying. Then my brother and mom decided to go with me.I love it. Missed it this year but I hope we can get back next year. Unfortunately ours only happens in the winter/early spring, so I have four or five months left to wait for the next one. They are so much fun, but often far away or on weekends when we have other plans. Or, typical New England, when we do decide to go, the weather is wonky. At least you have something to look forward to! Crud! I missed it! That’s very cool that our little hometown has grown up and added such a fun slice of entertainment. Let me know if they plan another one. 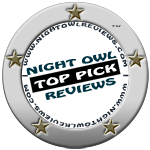 It looks like it was a hoot. The fair was a fundraiser for a local children’s youth group. There is talk of them making it a permanent affair. One can only hope, because it was a ton of fun. We ended up going both days. That is so cool. I’ve never been to a fair like this. We don’t really have them here..Thank you for sharing the pics. Looks like so much fun. That’s a bummer Savannah. I read in the paper that the CT group was started by two guys who worked at a Staple together, so you never know, Maybe someone, right now, is starting one. LOVE RenFest! 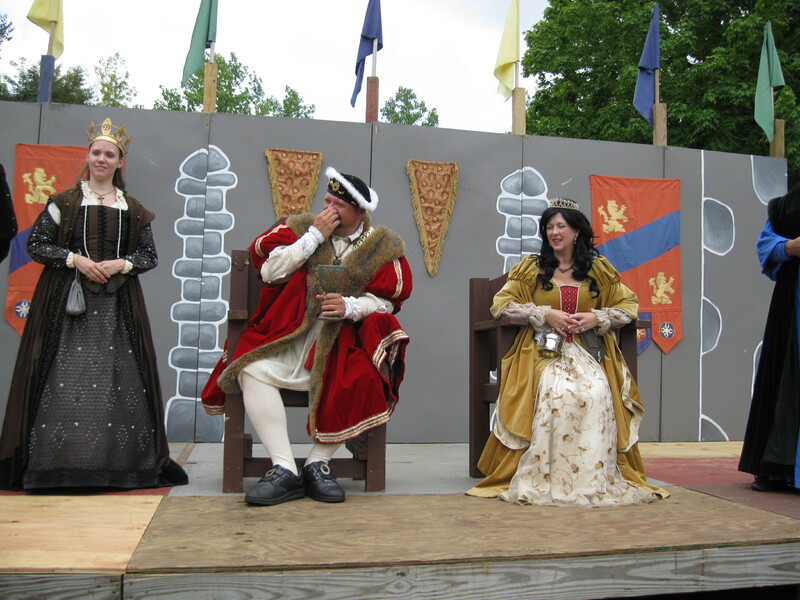 The pic of me on SMP authors is at RenFest, and yes, we costume up. The entire family. That’s awesome Raven. There were many families attending who dressed up together. There was the cutest toddler dressed like a pirate. Adorable! When we first moved out here we could drive a mere 30 minutes to a totally cook RenFair in a lovely wooded area. Then the land was sold for development. It was heartbreaking. The RenFair had to move far far away. That was my first Ren Faire — I loved it! I can’t wait for the bigger one with jousting coming up in the fall. We should all make a date! Definitely. I want to go again! Maybe we can corner King Henry again and see who he’s playing in King Arthur’s day, and let him ramble. That was too funny. The zombie gnomes were awesome. I wish I had taken a better photo because there was gnome holding a rocket launcher too. Have fun, Lorijo!